It’s Bloody Mary season for me. I don’t drink them in the summer. Do you? In the summer I want something more refreshing. But in the fall, when I’m brunching with my friends and family, I love nothing more than starting the meal off with this classic cocktail. I’ll always have this image from growing up of my father standing behind the bar of our Wichita Falls home. He loved mixing drinks. At the very first sign of fall, he would walk out to our garage and raid the jars of cucumbers my mother had just finished pickling from summer. He’d twist off a cap, grab a spear, and, after taking a bite, say “mmm, Betty, this is the best batch yet.” Each year’s batch seemed to outdo the last. What followed was his Bloody Mary. He was so meticulous about making them; pouring in the Worcestershire sauce, the horseradish, and some pickle juice from my mother’s jars. He’d serve it with a stick of celery and a pickle spear wedged into the glass, and would usually let me have a tiny sip, even at my young age. It made me feel so grown up being able to taste a Bloody Mary with my daddy on a Sunday morning, and every time I have one, I am brought back to this memory. 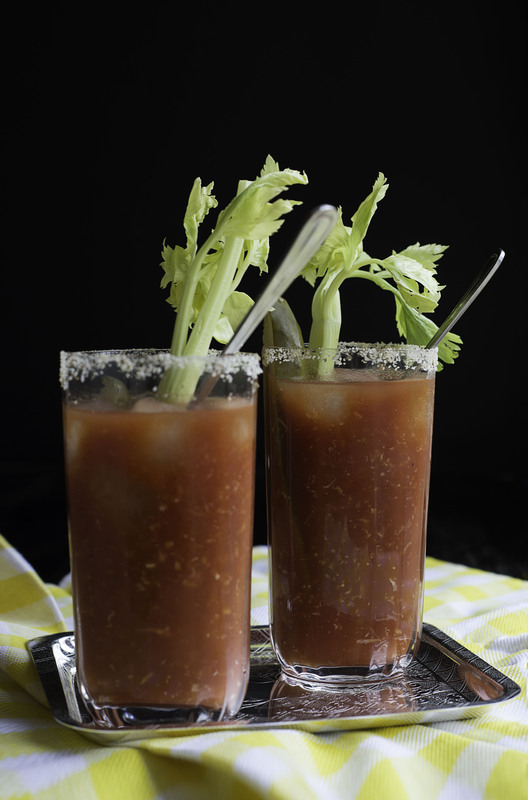 Bloody Marys don’t need to be complicated, but they do need to be a mixture of flavors – not just a can of tomato juice like you’d get on an airplane. What makes mine special is the seasoning I use, Jane’s Krazy Mixed-Up Seasoning, which is basically just a jazzed-up mixture of salt and spices like dried dill, onion, garlic and curry powder. 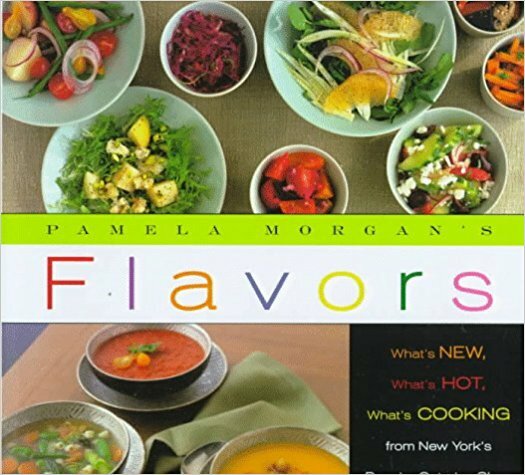 It adds great flavor but you can always improvise with your own creation if you can’t find it at the store. Whatever you do, don’t skip the pickle juice, whether you add it in all on its own or choose to make ice cubes, like I do. It’s the tang to the Bloody’s tomato tartness that leaves you with your best batch yet, every time you make it. Pour 1 cup of pickle juice into an 8-cube tray and freeze. Pour 1-2 tablespoons of the Salt Seasoning onto a plate. Rub a lemon wedge around the rims of 2 large pint glasses and tilt the rims into the seasoning. Place 4 cubes of pickle juice ice into each seasoned pint glass. 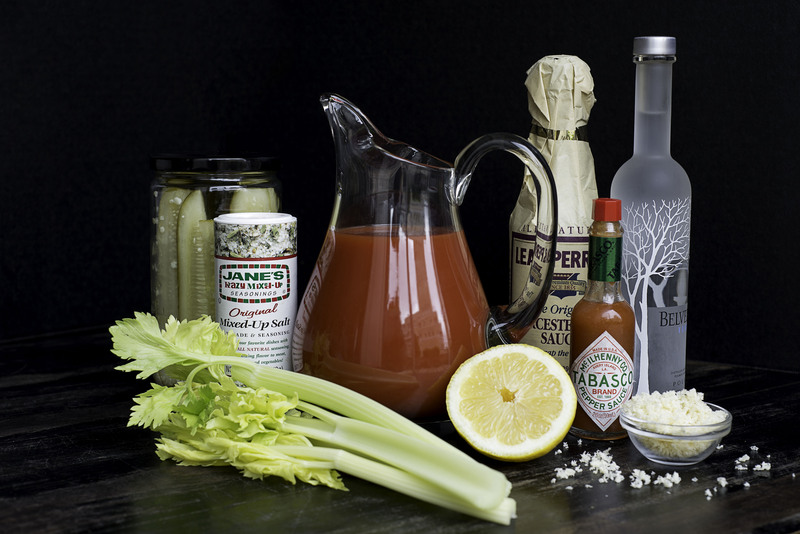 In a large mixing glass or cocktail shaker, combine the tomato juice, vodka, dash of Jane’s, horseradish, Tabasco, Worcestershire, and lemon juice. 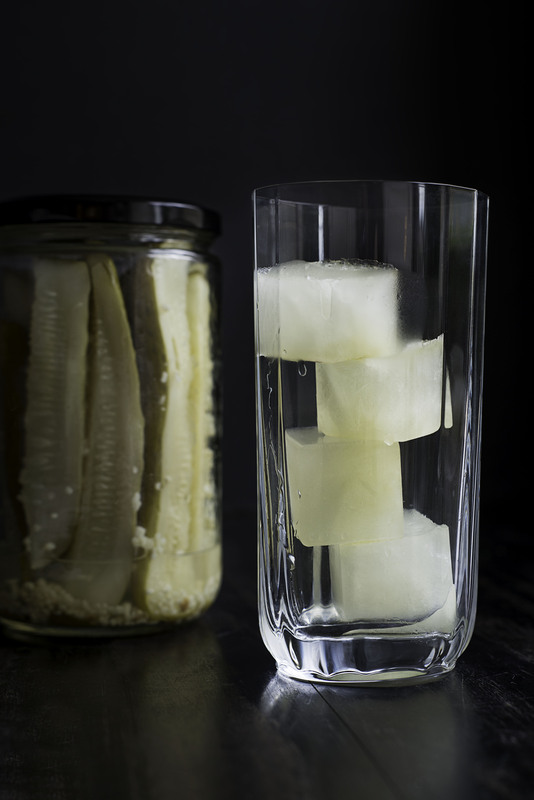 Shake and pour into seasoned pint glasses filled with pickle cubes. Garnish with pickle spears and stalks of celery.